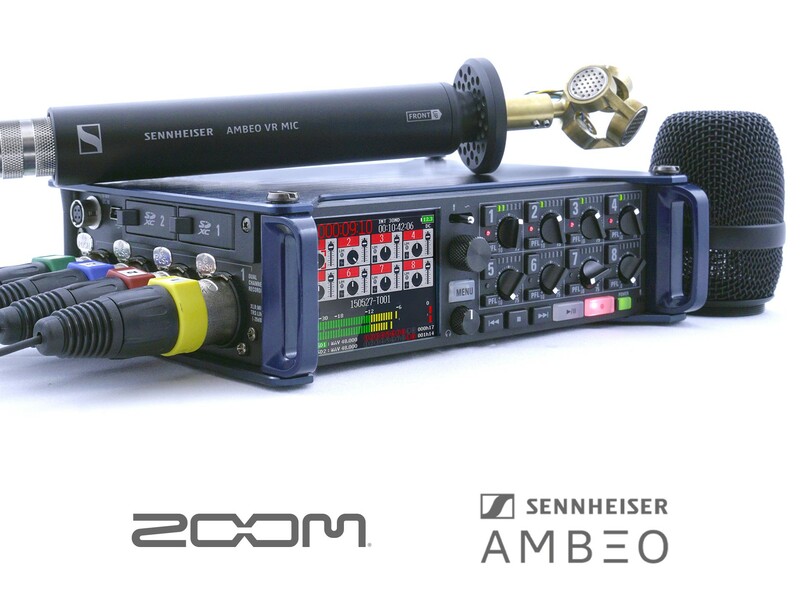 Zoom's new firmware update lets you record 360-degree audio using your Zoom F8 MultiTrack Field Recorder and Sennheiser AMBEO VR Microphone. All formats record to Poly WAV files. When using the F8 in Ambisonics mode, gains are automatically linked so you can control them with one knob. This is essential for properly monitoring and adjusting audio levels in an ambisonic recording. The new firmware will also allow you to monitor in Ambisonics B Stereo. For more details, please check the F8 Version 4.0 Supplementary Manual (PDF). Lightweight, portable, and easy to mount, the F8 and AMBEO mic combination lets you capture 360-degree audio everywhere.